FLIPPING property is growing in demand as more savvy investors cotton on to the short term returns of buying, renovating and selling a home. Universal Buyers Agents property expert Darren Piper said although it can be a great way to make a lump of cash quickly, it does come with considerable risk around finding the right opportunity, financing, getting the numbers right and executing it to perfection. “Our business saw the huge demand for flipping and realised that we could help our clients by giving them the tools up front to assess if a property or “flip opportunity” would produce the return on investment they were searching for,” Mr Piper said. But the process Universal Buyers Agents are now rolling out puts an opportunity in front of a client with a fully detailed feasibility report. “The client can see the opportunity up front and make an informed decision about their options,” he said. “We used to see a lot of buyers searching for years for the right opportunity, often without any previous renovating experience. Mr Piper said he is currently working with a client on an opportunity in Seven Hills with an ROI of 22 per cent. He also has seen projects interstate produce as much as 60% ROI, yielding massive returns. “We can help you navigate this new world so you know how much to invest, how much to sell for and what your opportunity is with our expertise,” he said. THE typical spring property rush failed to bloom this financial year but experts are predicting a late surge as the summer property slump winds up. Universal Buyers Agents property expert Darren Piper said the typical “craziness” of the Spring property market didn’t create as much buzz as previous years following a tough 18 months of market updates. “We’ve seen property prices stall, dragged down largely by oversupply in the unit market and general jitters from banking institutions and buyers after the Royal Commission,” he said. “Spring used to be one of the busiest times of the property calendar but there has been a real dip in recent years. “Although it failed to bloom before Christmas, we’ve seen a lot more confidence creep back into the market and a lot of great buys being had. Mr Piper said he expects listings to start to gain momentum into early February with a peak in early March. “We’ve noticed a huge influx of stock hit the market since the 7th, one new agent launched five separate properties on the same day,” he said. “It’s game time right now. “Buyers need to ensure their finances are rock solid as the Brisbane property market is going to get very competitive. “We’re seeing a steadying of the unit market which will cause prices to start to climb again. “To get a discount now is the time to pounce. If sellers have agents, why can’t buyers? Meet Darren Piper – The buyer’s agent changing the way property is purchased! Employing someone to find your dream home, tackle estate agents and fend off other buyers used to be something only the rich could afford. But the director of Universal Buyers Agents Darren Piper has redeveloped the property agent market bringing it within reach of all buyers. Since launching the Universal brand in 2016, Darren and his team of highly qualified Brisbane buyers agents have disrupted the status quo by working exclusively for buyers. 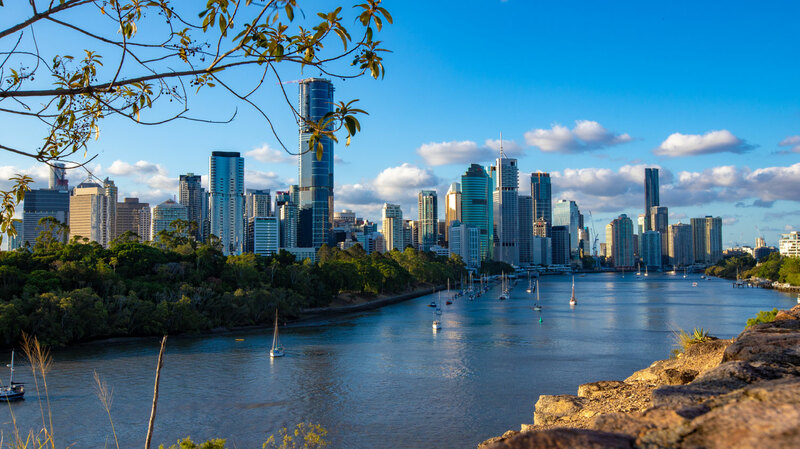 Using his insider knowledge of the Queensland property market, Darren has purchased $30 million in real estate for a mix of investors and owner-occupiers. In a fiercely competitive property market, Darren manages every aspect of the buying process including auction bidding, assessing, inspections, negotiations, settlement and managing assets long term. Unlike traditional estate agents, Darren represents the interests of buyers to ensure they are getting the best deal possible. Universal Buyers Agents has grown 25% per cent year on year as more and more property buyers look for a helping hand, saving them money, time and effort. Darren has a range of services which offer unique insider knowledge, off-market property listings, buying and banking advice and tailored assistance navigating the market for first home buyers. For more information please call Darren directly on 0423 853 771.